1 compartment, plastic box, built-in handle. 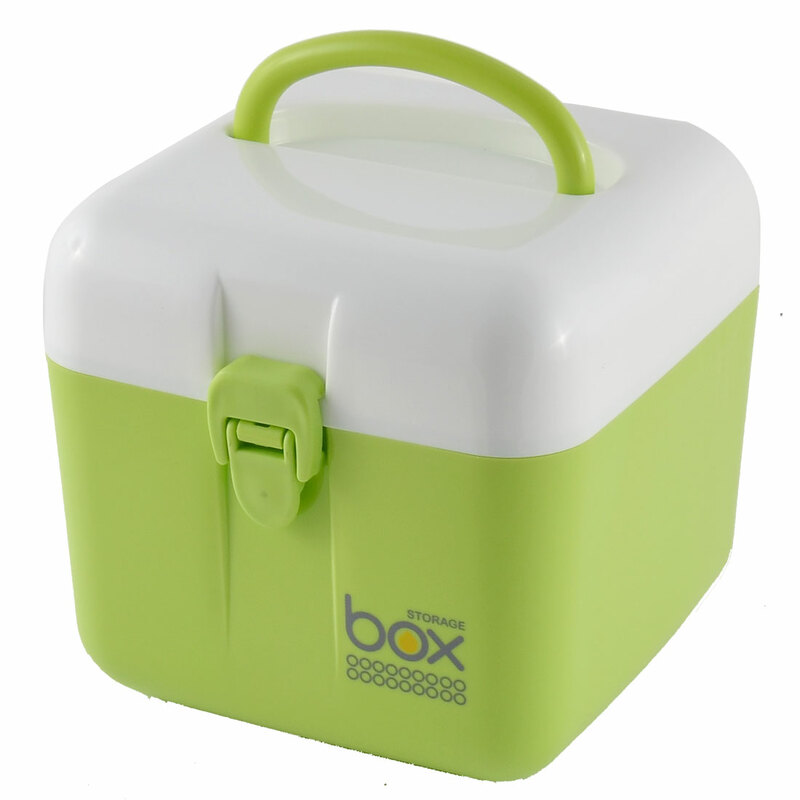 The big compartment inside can be used to pack larger container, such as mini scissors, dig earwax spoon, nail file, etc. The tray inside can put the thermometer, swabs.